As described in our FAQ “what is a landing page” – a landing page is a uniquely designed page with one single objective. Highly optimized, these landing pages typically serve as response pages to an advertisement promoting one particular product or service. The sole goal of a landing page is the desired conversion: the purchase of a product or the capture of a lead; depending on your objective. As part of an online store’s advertising campaign, a typical landing page might contain the announcement of an upcoming special sale, most likely time limited, or for one particular product or a group of products. 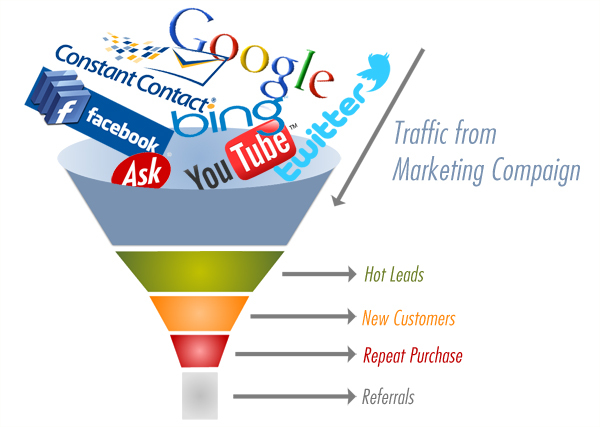 By closely monitoring the click through rate to the landing page and the conversion rate of the attached funnel you can establish the success of your campaign. How much or how little information is present on a landing page largely depends on the desired goal, the individual product or service, and the intended audience. The creation of a perfect landing page requires a lot of testing; as subtle and sometimes minor changes can have a huge impact on the conversion rate. The most common testing routines usually focus on different headlines, different colors, varying positions of key page elements and different calls to action. Split testing and other testing methods are invaluable tools in the conversion optimization process. We are gathering real time data and apply our findings to create an optimized version of the landing page based on the results. There is no one size fits all “recipe” for a perfect landing page, as every product, every service, and every particular goal have different requirements. The creation and optimization of your landing page need to be addressed on a case by case basis. Of course we can integrate additional features like real-time USPS, UPS or FedEx integration – please contact us so we can learn about your requirements and create a custom quote for you!